In 1992 a commercial aircraft carrying thirty-one people left Ho Chi Minh City for the beach resort Nha Trang. Two passengers were headed for a romantic getaway, unaware of the fateful moment that would shatter their dreams forever. The plane crashed into a mountaintop enclosed by the Vietnamese jungle, leaving Annette Herfkens trapped in the wilderness as the sole survivor. When she awoke, battered and suffering from numerous wounds, she faced her dead mate and was hardly able to move. What followed was an incredible story of survival, mystery and higher spirit. If you think that surviving an airplane crash will get you a free pass for the rest of your life, think again. In this fearless tale of life, Annette Herfkens describes how she took all the right steps to survive eight days alone in the Vietnamese jungle, sustaining herself with only rainwater. She takes us on the journey her mind made while her body was stuck on the jungle floor, resulting in a beautifully described shift of consciousness and near death experience. She also weaves in flashbacks to the high flying life in international finance she was so violently removed from. Annette goes on to explain her miraculous rescue and how she managed to rebuild her life, resume her career, and find love again. In the second part of the book, Annette returns to Vietnam to climb the mountain where she faced death. Her second journey re-opens her past and sheds light on the mysteries that lingered since the crash. She shows that life can indeed be stranger than fiction. 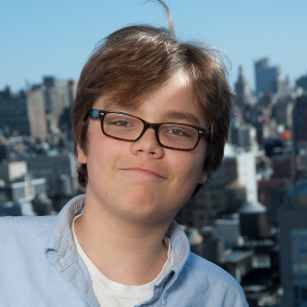 Through flashbacks Annette shares how she used the lessons learned in the Vietnamese jungle on New York’s Upper East Side to transcend the diagnosis of her autistic son. Whereas the jungle showed her how to transcend through spirituality, he opened her eyes and heart to compassion and unconditional love. This inspiring book breaks as many boundaries as the protagonist herself. A keen observer, Annette writes with frank and acerbic humor about loss, love, resilience, and spirituality in a fresh, down-to-earth manner. Her book gives us the ultimate insight into the mind and heart of a true survivor. 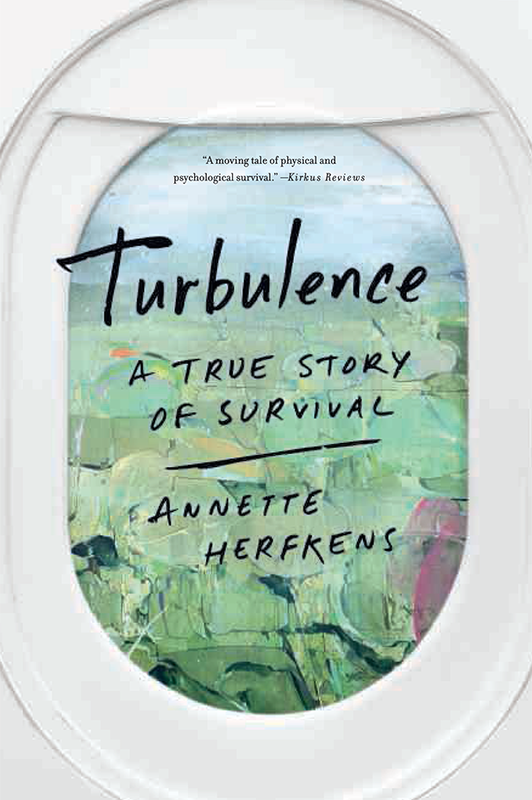 In Turbulence, Annette Herfkens puts spiritual insights and teachings into practice, describing both effortless and mindful transformation of consciousness, in a concise and compelling way. Annette Herfkens artfully renders her experiences as a sole survivor of a plane crash in Vietnam, enduring the loss of her fiancé, to the convergence of a fascinating career in international business. Writing with honesty and wit of the many challenges facing her as a wife and mother and professional woman in the business world, her indomitable spirit inspires. If you have a preconception of what it is like to be the only survivor of a plane crash, be prepared for a climb, and follow Annette as she resumes the challenge of daily life, and years later returns to the site of the crash making incredible ghostly discovery. This is a book for those who want to see beyond the miracle – to find another miracle waiting. Throughout this memoir, the author employs an effective style, [offering] a great deal of relatable insight into her experience. A moving tale of physical and psychological survival. April Interview with Canal Plus. Article with Marine Le Breton. Hoe overleef je na een vliegramp? Interview with Rosanna Scotto and Greg Kelly. Annette tells CNN the story of her survival. Annette Herfkens was born in Venezuela to a Dutch family. She was raised in the Netherlands, where she studied law at Leiden University. 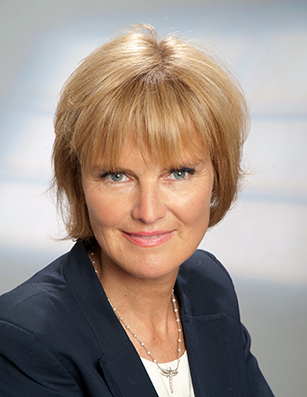 After completing an internship in Santiago, Chile, she became a management trainee for ING Bank, eradicating professional barriers as the first female executive to be sent abroad by a Dutch bank. She was assigned first to New York, then to London and in 1989 accepted an offer from Banco Santander to help set up the Emerging Markets Department in Madrid. She went back to work just a few months after the airplane crash in 1992 and was promoted to Managing Director one year later. In 1996 she was appointed to Santander’s office in New York City. 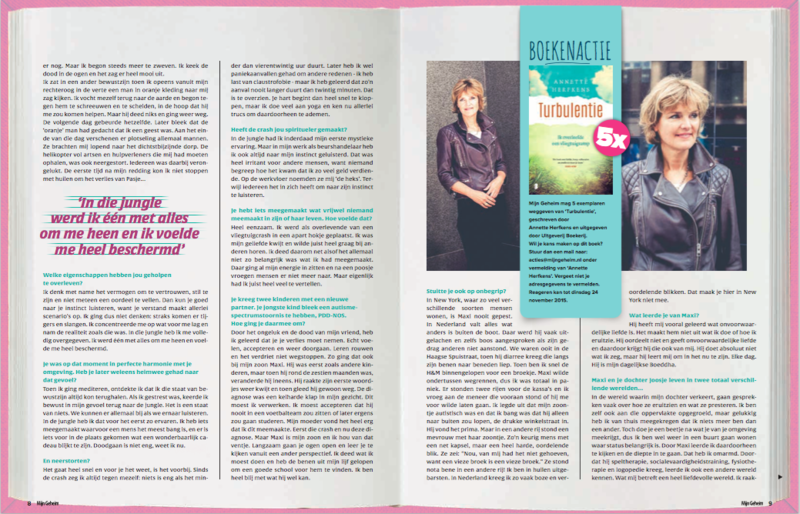 By writing “Turbulence”, Annette broke some barriers of her own: The book helped her finally share the spiritual ramifications of her experience and how she used intuition, focus and consciousness to guide her. She also writes and speaks about the gains that come with loss. She is an accidental expert in the field: Nine years after she lost her fiancé in the crash, her son was diagnosed with autism. Just as in the jungle, she focuses on the beauty of what is, not on what was lost. 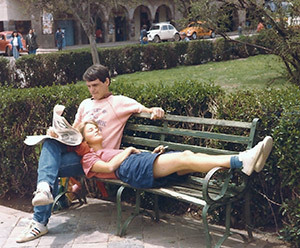 Annette is currently living a hopeful life in New York City with her family. © 2019 Annette Herfkens. Website by Moving Brands.